..... My new favorite camera is the Lithium (code name) 3D/4V beamsplitter rig. I am testing it now and I am overjoyed with what it can do for 4V. I hope to post specs, prices and delivery date (realistic this time) shortly. Lithium is a standalone camera that uses HYDROGEN as the UI and monitor device. It shoots dual 4K stream images and converts to 4-view. You can save the dual stereo pair images as the master. It has variable I/O and 6x zoom with everything in sync. It will support AF and hand controller manual focus, iris and zoom. I should be posting more specs pretty soon along with a realistic delivery date. Last edited by Michael Hopper; 11-23-2018 at 04:39 PM. I saw this at the Hydrogen unveiling event and was intrigued then. Now I'm really intrigued. Though it makes me wonder with all of the discussion and concern that the Hydrogen cant/wont be used as a monitor for monitoring on our Reds, this is a literal statement that it can monitor on this Red. I imagine it's only a matter of time till DSMC's are included somehow, some way. Pretty exciting! 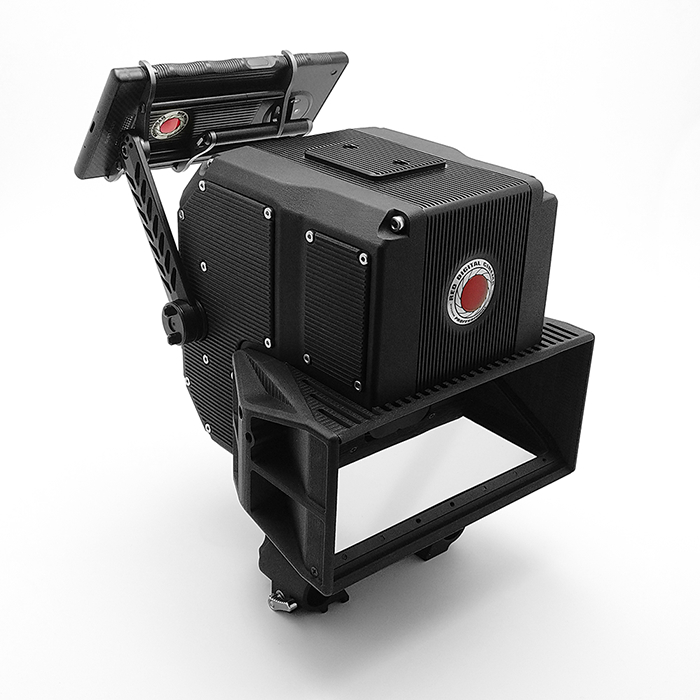 I have a feeling that a lot of productions are going to be shot with this. Perhaps the first will be short science documentaries. I think this might be a killer product in education.